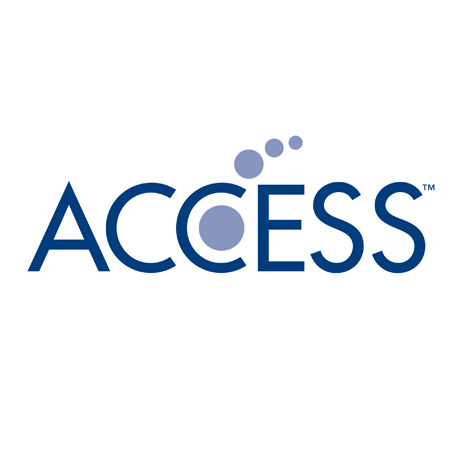 Oberhausen, Germany, 27 August, 2014 – ACCESS CO., LTD. (IBC stand 14.D14), a global provider of advanced software technologies to the mobile, beyond-PC and digital TV markets, today announced that IBC will see it demonstrate innovative ways to facilitate multiscreen delivery. Operators visiting the ACCESS booth will discover how standards combined with strong security solutions can help them deploy and maintain efficient multiscreen services both in and out of the home. ACCESS Twine: launched at IBC, ACCESS Twine is a new multiscreen management platform that provides the simplest route for operators to deploy and control true TV Everywhere services while enabling consumers to access the existing operator portfolio and their personal content on their PVR even when they are outside of the home. The demonstration will allow operators to discover how the solution provides a single point of content access control across multiple CA and DRM systems to manage video distribution from CDNs and PVRs whilst leveraging HTML5 to offer a seamless, unified TV experience. NetFront Browser BE: launched at IBC and demonstrated on Broadcom silicon, the newest member of our browser family, based on Chronium technology, is tailored for embedded platforms and ideally suited to higher end environments with multi-core CPUs and graphics acceleration (GPU). NetFront Living Connect: a multiscreen solution that provides the content and CE industries with the simplest and most powerful route to enable consumers to watch, listen, and share movies, music and TV programs inside and outside the home. The solution is a DLNA Technology Component supporting the latest CVP-2 specifications and integrated with leading security solutions, making it a key enabler for business models based on distributing paid and free content to STBs, TVs, tablets, mobile phones and in-car entertainment and navigation systems. ACCESS Twine™ is a standards-based multiscreen software solution that enables operators in today’s fast moving multiscreen environment to bridge the growing gap between technology and the consumers’ desire for simplicity and universal content across all devices while also meeting the studios’ security demands. ACCESS Twine™ allows the control, secure distribution and sharing of video content on screens everywhere. It enables consumers to discover Pay TV content and services on a number of devices and provides operators with the ability to monetize multiscreen through advertising insertion and data collection capabilities. ACCESS Twine provides flexible software modules for set-top boxes (STB), digital TVs, home gateways, smartphones and tablets. The solution is available as a client for STBs, mobiles and tablets as well as a home gateway package. The head-end server side components facilitate the control of subscriber rights and can be integrated seamlessly with existing operator infrastructure such as subscriber management, analytics and premium content security systems. NetFront™ Living Connect is a market-leading DLNA Technology Component™ solution that enables the quick and efficient implementation of services that support DLNA standards on consumer electronic devices including mobile phones, digital cameras, printers, DVD players, game consoles, digital TVs, set-top boxes, network attached storage (NAS) boxes and more. NetFront Living Connect has achieved an extensive track record of successful DLNA Certified® device deployments on a variety of consumer electronic devices offered by leading manufacturers in markets throughout the world. NetFront Living Connect also offers support for DLNA Premium Video Guidelines, enabling the secure sharing of high-quality, premium commercial video. The NetFront™ Browser series provides the ultimate embedded browser choice across legacy and new hardware platforms via a family of browser solutions, ensuring outstanding Internet viewing experiences, world leading rendering speed, HTML5 compliance and optimized memory-usage. It is pre-installed in a wide variety of devices including TVs, gaming devices and in-vehicle infotainment systems. The browser series supports the latest global broadcasting and communications standards, such as HbbTV, Hybridcast, BML and Ginga, and continues to evolve to offer higher performance and even easier device integration.